It brings joy to this old Star Wars fan heart whenever I see any of your wonderful works. 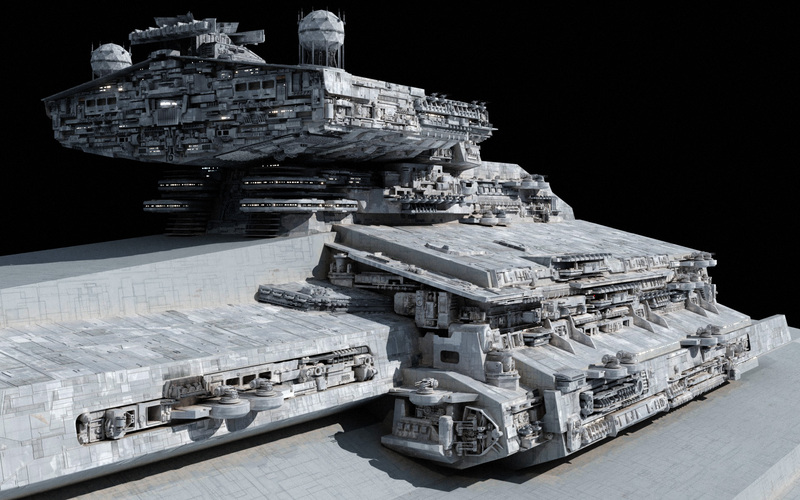 So Fractal since you said this new Bellator have a reactor of 40-50+ ISDs (4-5e26W+) (100-125 Petatons) it made me wonder what the reactor of the Praetor? Why would the Praetor change? I didn’t say the Preator was change I just want to know what the Praetor’s reactor is so that I can know if the New Bellator’s reactor is either now more powerful or still weaker than the Praetor’s reactor. I’m pretty sure this update doesn’t grant the Bellator much more of an edge than it already might’ve had against a Praetor. The two seem evenly matched enough (better thrust/handling vs. more protection?) for skill & luck to be more decisive than anything. EDIT: Checked the first WIP, and talk about open-mouth-insert-foot; over half again the original output is certainly a noticeable difference. Still doesn’t strike me as an impossible gap for the aforementioned intangibles to bridge. love the Bellator. but the Secutor is my favorite one. also, is there a place i can see what your going to make next or do you just go with the flow? 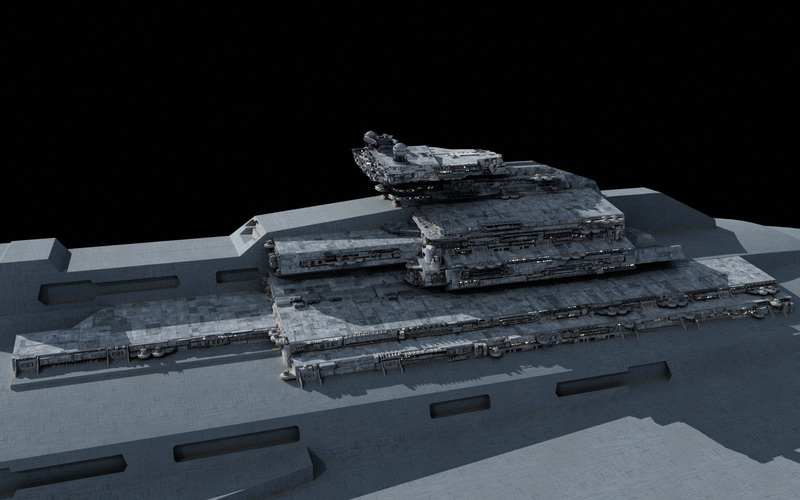 That’s way too underpowered IMO, take three ISD II and they have more firepower, I’d even say two ISD II have more. 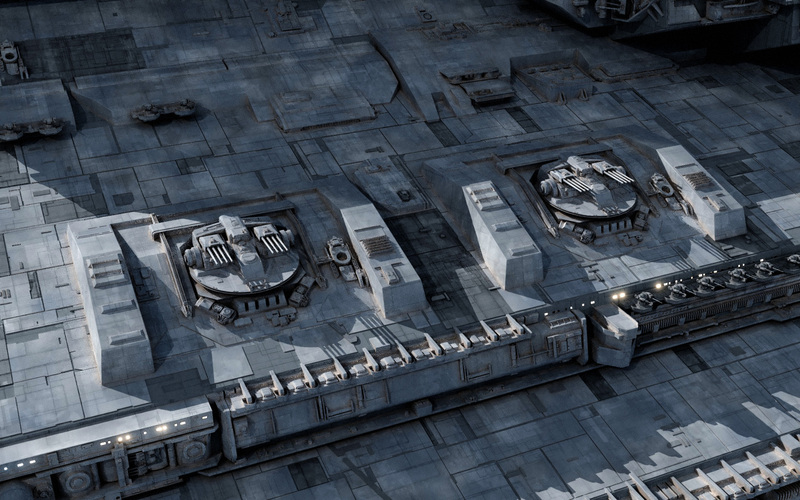 But in saying that, the ISD II is Increadibly OP for its size. Figured something along those lines. I guess these values are more in line with a ship around 2.500 meters in length rather than a 8500 meter one. Perhaps I should use the Legator as a reference for the overall armament numbers? Sweet sithspit is that dorsal superstructure shaping up neatly. Any plans to tweak the squared-off/trapezoid-capped portion near its bow? What are the outputs on the new-looking two barrel Turbolasers? Nice. But this ship is even easier for a A-wing to crash into. 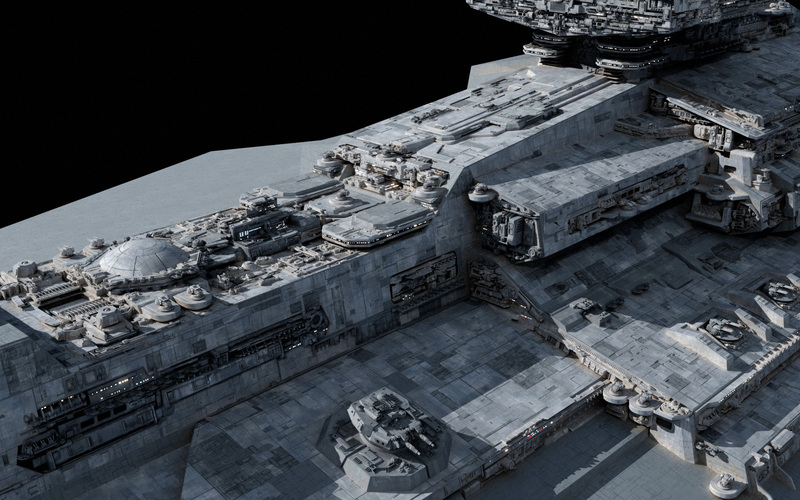 Huh, never thought of Carrack having that big of a viewport…but considering the scale, I guess it truly is massive. Viewports have been getting bigger as a trend. Just look at how absurdly large the windows are on the Type 45 destroyers and Queen Elizabeth class carriers. 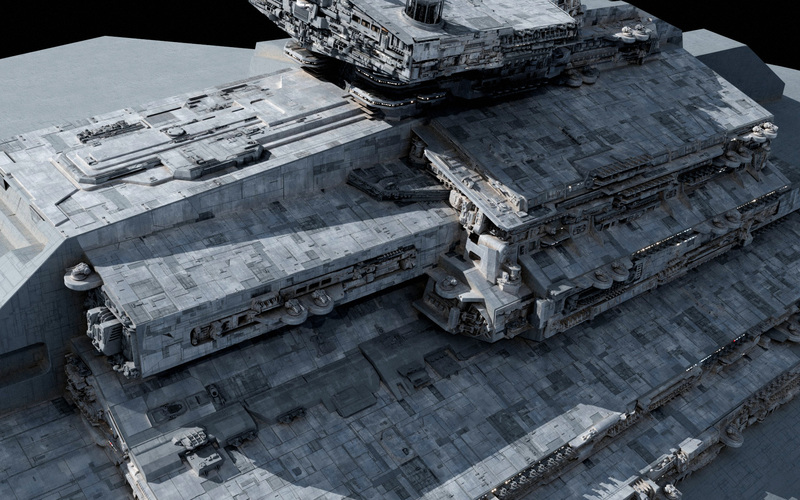 That being said, didn’t Fractal already do a conceptual redesign of the Carrack role into the Velox? The Velox doesn’t preclude the existence of the Carrack. The original source for the Carrack also mentions a recon modified light cruiser, which could just be a modified Carrack, or something like the Velox. In fact, both could exist, with the Velox being a replacement / upgrade for the aging Recon Carrack. The Type 45 is still the best guided missile destroyer in the world though, by far. Sure, the Darings are fine AAW ships, but I imagine that the South Koreans are laughing at them for only having 48 VLS cells compared to the Sejong’s 128. Amazing as always! Is it new that there is a gravity wall generator dome on the ship or was it already planned? I dunno, I’d just find that distracting in a still image, like look at the Lucasarts commissioned pic of an Assertor-class doing BDZ, it just have a rain of bolts that is a bit visually messy (as cool as it was). Now if it’s a video, that could be interesting. I find myself dunno-ing your dunno: time it just right, and a Bellator pic lit up by the fiendish emerald backwash of a simultaneous half-broadside could be a real keeper. ‘Course, replicating the tracers from all those barrels seems like quite the rate-hike-worthy chore, much less *animating* said conflagration. 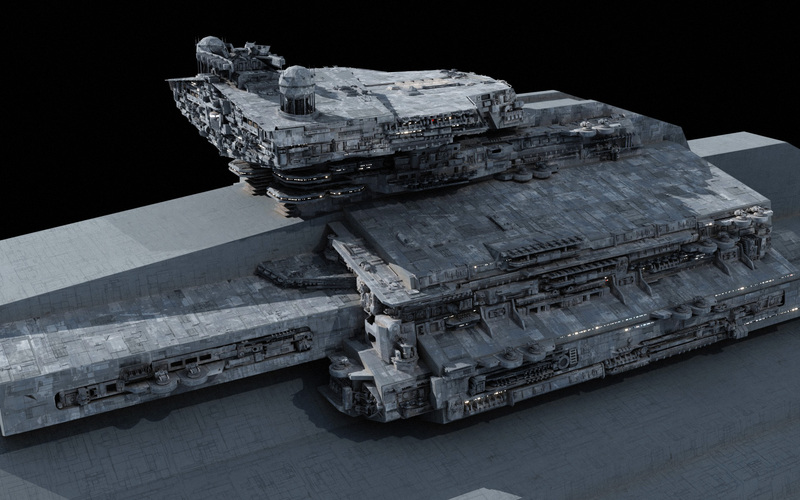 this is awesome 😀 But..the point defences on the entirity of that Procursator class ship are probably just what’s dotted along the superstructure that we’re seeing here on the Bellator :p She’s gonna have LOT of guns :p It would be a horror to fly though! I really want to see the process that goes into modelling all this! Can we get a timelapse of a scratch build one day? Nice a gravity well generator and judging from it’s size it is Immobilizer sized. So how many more gravity wells are there going to be Fractal? The entire reactor budget of an Immobilizer is less than the single-shot output of one of those HTL. WEG introduced something like that in their backstory of the Battle of Endor, but did it with a taskforce of Immobilizers in the system outskirts. Having a multi-layered blockade, with the first layer being projected by a ship of sufficient size that gravity well projectors would be vanishingly small, makes sense as well. The concept behind the Hapan Pulse-Mines isn’t particularly clear in how it’s used in-universe. The idea as described simply creates a “pebble” field in hyperspace that damages ships that pass through it, sort of like a bird-strike for aircraft, but in hyperspace. It doesn’t prevent from jumping to hyperspace, but will shred any ship that jumps into hyperspace in the field or that passes through the field while in hyperspace. The authors who used the tech in-universe apparently did really grok the tech and just assumed it was another kind of gravity well projector. Yeah I know about the KOTOR projectors. They might have sucked or been found to be catastrophically unreliable or something, and Immobilizers were the technology demonstrator for the current generation of projector tech. Otherwise, projectors even for a peacetime policing navy post Ruusan would have been super amazing important, and REPUBLIC ships in the KOTOR era would’ve had them too. In fact in principle the technology is so ridiculously useful in the setting that they should’ve been everywhere as soon as they were invented. But, the Sith Interdictor from KOTOR seems to be the one-off, so … something’s gotta give. Considering how sparse information is on exactly what the KOTOR-era Interdictor does, I’d be tempted to say that it simply generates a gravity well centered on itself, and that the later technological breakthrough with the Immobilizer’s gravity wells was the ability to project the gravity wells at some distance away from itself. Even that limited ability to generate a gravity well on yourself seems pretty damn effective in the context of the prequel trilogy. Had the Trade Federation Lucrehulks over Naboo or Republic forces at 2nd Coruscant possessed that sort of hardware, we wouldn’t have had a plot. Maybe they /did/ have it. It might explain the dramatic running-the-gauntlet scene, as opposed to just jumping to hyperspace from low orbit. Under the old canon, ships had to get a certain distance away from a planet before they could safely jump to hyperspace, but Disney seems to have thrown that out along with everything else. I think I have read it from somewhere that the KOTOR era projectors were more in line with the tractor beam technology and used like a dragnet of sorts to snag things into realspace. But as hyperdrive technology improved, the method was no longer viable until the Immobilizer came along. Well that’s the point of the Dominator, eh? While the 418 is more than enough to trap fighters, dinky freighters, and CR90s in the rim, the survivability and redundancy of an Imperator chassis really helps against actual warships. 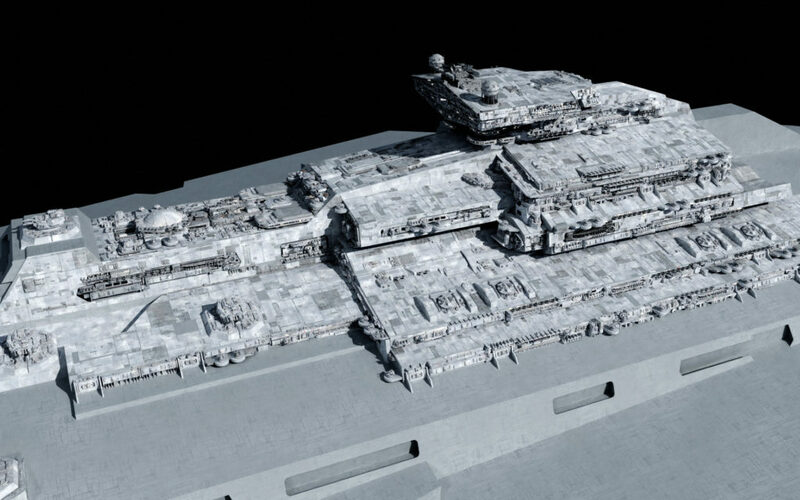 I suspect there are larger still interdictors on cruiser hulls, but until Fractal gives that a go and Disney blatantly steals it, that will have to to remain speculation. Quite right WRT Dominator, whose individual projectors might outbulk the 418; between that design & Eclipse I, I’m pretty sure Imp (remnant) design teams would’ve amassed enough combat data to notice if that tensor/sensor-degradation theory upthread applied. 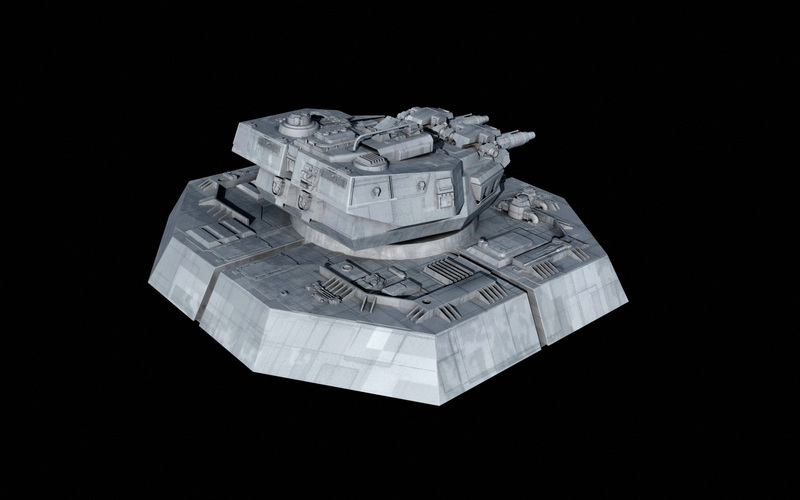 In the context in which it was introduced, the Immobilizer was a heavy cruiser equivalent, and it had point defenses roughly equal to a Lancer. On top of that, the gravity well projectors were extreme stand-off weapons, and if you go by the Thrawn trilogy, hyperspace route calculations weren’t accurate enough to drop ships out of hyperspace right on top of another ship. 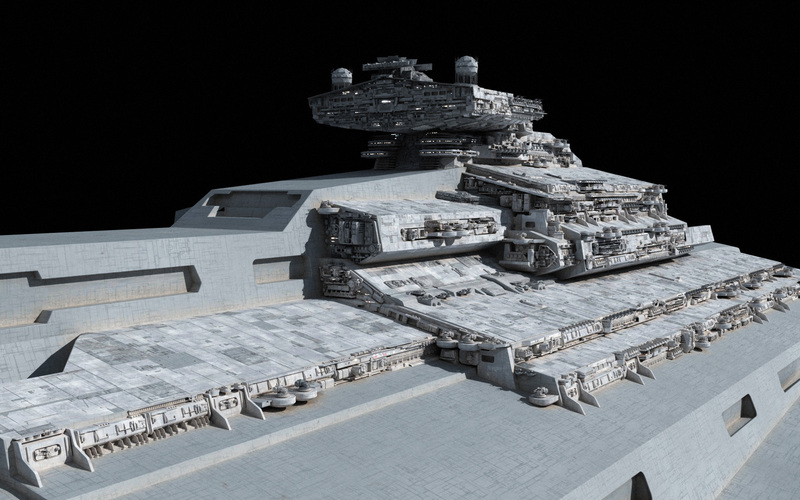 So, ships like Immobilizers could sit around the perimeter of the battle zone well out of range of enemy weaponry, then drop the gravity wells and jump to hyperspace if seriously threatened. Yeah, I recall a couple X-wing books where 1-2 squads with proton torps could threaten a 418 but generally not beat down its shields fast enough to stop a sharp retreat. If anything Disneyboot media’s buffed their ship-to-ship punch (one finishes off a Nebulon-B in ‘Rebels’) but rendered the things ludicrously sabotage-able (granted, Acts of Force/main character). As for standoff capability with the grav-wells, I suppose that keeps Immobilizers economical for convoy-raider-trap duties; it’s just harder to buy OT-and-after-era grav wells as actively detrimental to their parent vessel’s systems/integrity (outside sabotage or crew SNAFU, anyhow). That must be a Disneyboot invention, as there is no mention in the WEG rules of a gravity well projector in normal operation being detrimental to ship systems apart from general power drain when the thing was active. The closest it gets is a rule in which the projector will burn out if it is powered up too fast. Apologies for the confusion; that ship-systems-detriment factor was actually a theory posited by Steve earlier as one explanation for grav-well dome scarcity. I recall one of Rebels’ sabotaged 418s basically reeling in an Arquitens corvette tractor-beam style for a fatal collision, and ships that attempt jumps within a working Disneyboot interdiction field seem to get ‘pulled’ out of hyperspace within 2-3 ship lengths (and jolted sideways to boot). I pulled that scene up on YouTube and ended up rolling my eyes hard enough to get whiplash. That’s not how this works; that’s not how ANY of this works! Interdictors as intended just trick ships into dropping themselves out of hyperspace by spoofing the automated safety systems into thinking the ship is about to run into a stellar object. And what’s the point of repulsorlift if a ship can’t use it to resist the pull of gravity? I suppose a panicking crew at point-blank range *might* not get the time to think of repulsor use in such an odd situation…but srsly, stuff like this is why I take recent non-film anecdotes with a mountain of salt. I never really liked the “spoofing the safety system with a fake threat” explanation for a gravity well projector. That seems like a trick that would only work a handful of times before everyone caught on and installed a manual bypass override for the safety systems. There has to be some actual physical impediment to activating a hyperdrive, and possibly a way for a sufficiently energetic hyperdrive to brute-force past it, or we might end up with edge cases of a frigate-scale interdictor preventing a Death Star from jumping. I could see the ‘spoof ’em outta lightspeed’ factor being handy to kick off an engagement on the grav-well users’ terms; heavier ships might be able to plot a manual escape, but that’s dependent on crew skill/Force-wielder presence & the ability to at least briefly withstand whatever trapping force the interdictor’s supporting. I suppose bigger generators might enable greater range, or some wacky mix of spoofing targets from lightspeed *then* disrupting their drives. A 418’s usual prey (snubs, light freighters, corvettes, etc.) might not get enough time to arrange manual escape jumps before they’re gobbled up by its frigate/destroyer entourage. But srsly, your guesses are materially better than mine. If nothing else, this discussion is a treasure trove of interesting early lore (now I’m visualizing a customs corvette-scale micro-interdictor which operates under 1E regs)-and a real eye opener WRT the lethal potential of those Hapan mines. Don’t suppose you recall whether shields mitigated pulse-mass field damage at all? Swinging back to the grav wells’ effect on speed/handling, does this strike anyone as an innate effect of their operation, or ‘simply’ the matter of 418s not packing quite enough reactor to run standard systems *plus* the projectors at full, and opting to compromise thrust instead of shields? And given the relative scale of its domes (even with Impstar-grade power generation), seems like Dominator might run into the same issue (though it could certainly settle for ‘only’ several times an Immobilizer’s output). I re-read Dark Force Rising 1-2 years back & don’t recall anyone mentioning power drain, though I *think* the half-minute escape window gets used by Mara Jade & Karrde to barely evacuate their smuggling core crew from Myrkr (the 418 arrives with their ships off-planet & prepping the jump). So wide spread, but narrow threat window unless the generator’s working with enough juice to regularly saturate a sector. Seems like a handy widget for, say, cruiser-grade system defense stations. In the Star Wars Armada tabletop game from FFG, the Immobilizer has a variety of projector options instead of locking you to one gravity well generator choice. The tabletop choices are mostly just varieties of “stop moving in a certain way”, but the idea of a modular housing system with several interchangeable projector modules for the Immobilizer’s globes is certainly appealing to explain why different interdictors have different effects. 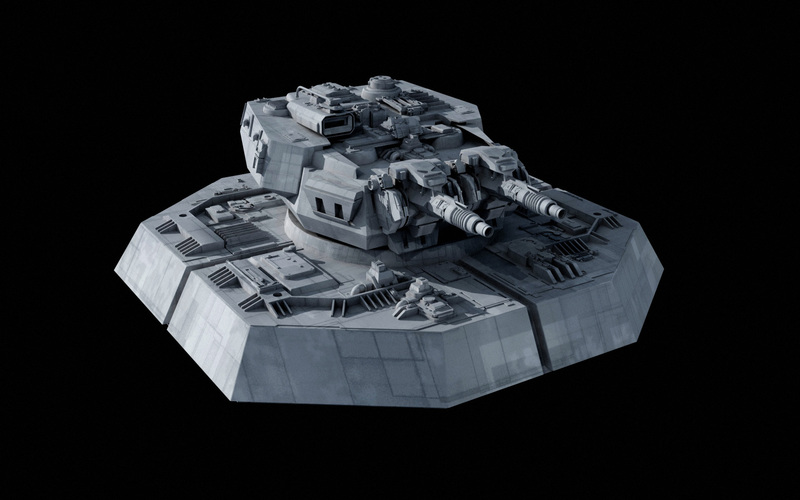 Considering that the Immobilizer is essentially a highly modified Vindicator, a lot of different alternate variants have been suggested in the fandom: fire support platforms, fleet scouts, armed cargo ships, troop transports, etc. I even jokingly suggested the Collector-Class Imperial Taxation Cruiser, with the gravity wells projectors replaced by Revenue Extraction Beam Projectors. Well, if you ever pay for a commission…. 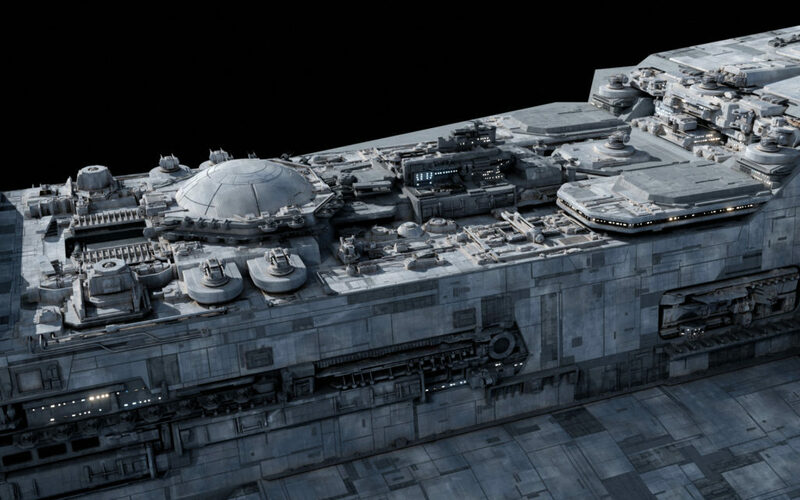 While I still love classic Zahn, I think Rogue One has pretty heavily retconned the ability of a warship to make a precision combat jump onto an enemy fleet… unless we want to speculate that the Death Star or some other offscreen Imperial platform was providing a gravity well signature for the Devastator to calibrate its jump coordinates. I don’t think there’s enough there to assume that this is a normal occurrence, although Rogue One definitely narrowed the window for how far a ship must be from a planet to safely enter/exit hyperspace. I’d be more inclined to say that Vader used some Force power to plot a hyper-accurate course; Instinctive Astrogation has long been recognized an official Force ability in the Legends canon. Are we forgetting that the entire non-Force sensitive Rebel fleet entered orbit on a closing vector on its first jump? Or, for that matter, that the Rebel fleet jumped into orbit at Endor? It’s not just a Disney era thing and doesn’t require Force sensitivity. The TFA Falcon jump was a bit silly, I will say, but decently accurate jumps into and out of planetary orbit is and was a thing. I can’t think of a single hyperspace jump in the OT/PT that didn’t occur some distance from the planet in question. This low-altitude stuff is entirely a Disney invention. It was suggested in WEG’s last iteration of the Interdictor rules that a jump could be made closer to a planet at the cost of greater jump calculation difficulty, but the skill level slope required to pull it off was pretty steep. Not many. Possibly just the one. That’s just perfection. Love the high detail turret in particular. Are those totally new turbolaser turrets? I think they are. They look to be a lot bigger than any of the previous turrets of this style. The details on this ship are amazing!